Hi guys! 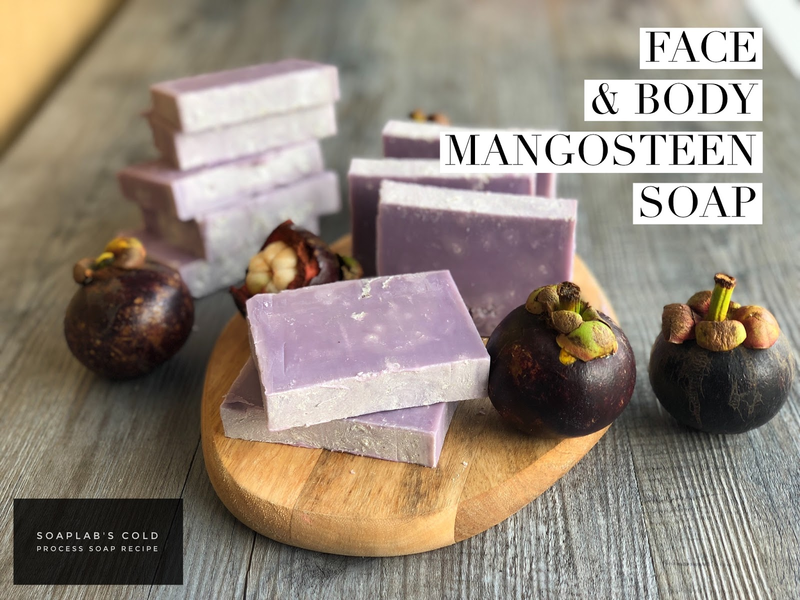 Today we will be making a face and body mangosteen inspired soap. You will need to combine an oil mix with lye. This method of making this soap is called the cold process soap. We love this method because it uses natural oils and can be considered as a 100% Natural Soap. It doesn't use the synthetic detergents like the ones available commercially currently. The oil mix consists of castor oil, olive oil, coconut oil, palm oil which has anti-aging properties, as palm oil is rich with vitamin E.
The oils also are a great cleansing and moisturizing agent leaving your skin soft and supple. For the soap to look like its namesake add violet mica and sparkle silver mica giving it an interesting mix of colors. Finally add, red ruby grapefruit fragrance oil which has a bold, fruit smell making this a delicious smelling soap. Make sure you don’t mistake it for the real thing!